Cowlitz River Dental is proud to offer a number of advanced dental services, but Dr. Kennington knows that patients and whole families still need the essentials as well. 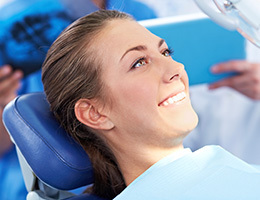 Preventive dentistry creates a strong foundation that can support healthy, confident smiles for life, and our team will also be able to identify potential concerns as early as possible so that you and your loved ones can avoid extensive damage down the road. We look forward to welcoming everyone for a dental care experience to remember – just contact us today here in Castle Rock, WA to get started. How long has it been since you’ve visited the dentist’s office for a checkup? If the answer is “more than six months,” we encourage you to visit us soon. These appointments are important because they allow a trusted dentist like Dr. Kennington to review your oral health and identify any current concerns that may have gone unnoticed during regular brushing and flossing. 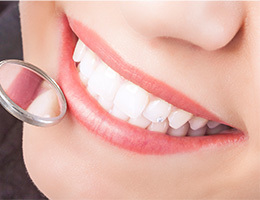 He will perform a thorough examination that involves each tooth, the gum tissue, the bite, the jaw, restorative work like crowns and fillings, and more. Following this process, our team will recommend and explain treatment options and help you choose a plan that you feel works best for you. We want to help you reach your goals. 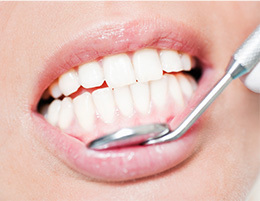 Additionally, a professional cleaning will eliminate accumulations of decay-causing plaque and tartar (calculus) from the mouth, as well as any minor staining that has developed between appointments. By the time you’re ready to leave our office, we hope you are feeling refreshed and confident about your smile’s future. Do you notice that your gums regularly bleed when you’re brushing and flossing? Periodontal (gum) disease may be the hidden culprit, which is a gradual oral infection. At Cowlitz River Dental, Dr. Kennington offers multiple types of periodontal therapy that can replenish your health, including oral hygiene instruction, scaling and root planing, and surgical periodontal therapy. Our recommendation will depend on the severity of your symptoms. At Cowlitz River Dental, we’re happy to see whole families and provide general care for all ages, including young patients who are just starting to learn about the importance of a healthy smile. Regular checkups should start between the ages of one and three, and kid-friendly services like dental sealants and fluoride treatment will help growing teeth stay safe and strong over their formative years. Dental sealants are an effective and simple preventive service that can provide smiles with an extra layer of protection. This tough substance is applied directly to the chewing surfaces of back teeth, which are especially prone to the ongoing threat of decay from trapped food particles and bacteria. Our team members typically recommend sealants for children who are learning how to brush and floss, but they may be useful for adults as well in certain circumstances. Tens of thousands of people here in the United States are diagnosed with oral cancer every year, and an overwhelming number of these cases will end in premature death because their symptoms weren’t diagnosed early enough. Our team provides oral cancer screenings as an essential part of regular checkups for our patients’ safety, and we will alert you if we discover any concerning signs. Possible symptoms of cancerous cells include slow-healing oral sores, red or white spots in their soft tissue, and strange lumps and bumps. Fluoride can be found in several food items, most community water supplies, and virtually any oral hygiene product on the shelf at your local store. Countless studies have demonstrated a connection between a safe amount of exposure to this natural mineral and higher averages of healthy, cavity-free teeth in children and adults. At Cowlitz River Dental, we may recommend professional fluoride applications for our patients and families in order to better support their smiles.